The grass jelly gives this milky drink a wonderful character. Combine 100ml of pre-brewed tea, Monin coconut syrup, milk in a shaker. 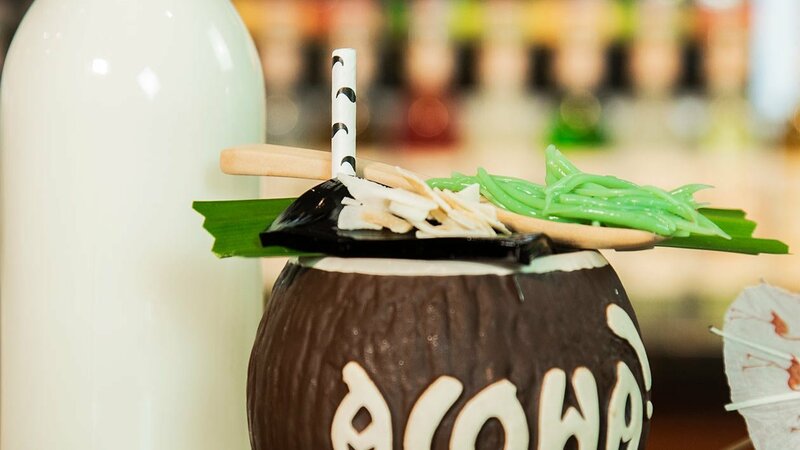 Top up with milk, then garnish with grass jelly, coconut chips and pandan leaf.